Dr. Jean Geto Dubé, Executive Director of Justinien University Hospital (JUH) in Cap-Haïtien, Haiti. 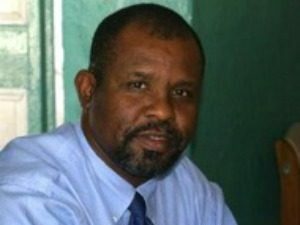 Dr. Jean Geto Dubé has faced his fair share of financial challenges as executive director of Justinien University Hospital (JUH) in Cap-Haïtien, Haiti. Standing before the hospital’s department heads in February, he provided a sort of State of the Union of the hospital’s finances. The situation was discouraging: The hospital received little government funding, had insufficient internal revenue, and depended on the financial support of partners — many of whom were gradually withdrawing. This in turn was hampering the administration’s ability to smoothly manage the hospital and ensure availability of care for the estimated 825,000 people in its catchment area. Concluding his remarks, Dr. Dubé noted that a costing study led by USAID’s Health Finance and Governance (HFG) project presented a unique opportunity to gain a more comprehensive understanding of the hospital’s finances and identify ways to improve operational efficiency. 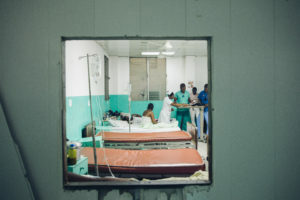 A view of the maternity ward at the Justinian University Hospital (JUH) in Cap-Haïtien, Haiti. Image by Valérie Baeriswyl for Communication for Development Ltd.
tracking systems are put in place, a hospital can quantify the resources required to produce a certain level of care – invaluable information for those advocating for greater funding from the government or donors. Costing data can also help hospitals better manage the resources they already have by increasing awareness of how resources are used within each department and by allowing them to redistribute them as necessary. On a broader scale, having this information for all public hospitals across the country can inform good governance and transparency practices across the health sector. The study conducted by USAID’s Health Finance and Governance project analyzed JUH’s annual operating costs using the Management Accounting System for Hospitals (MASH) tool. The study provided a clear picture of the hospital’s overall operating costs, including costs within departments and across health areas. 1. Stakeholder inputs should help frame the study. By engaging Haiti’s Ministry of Public Health and Population (MSPP) and the JUH hospital administration during four workshops at the beginning of the study, the team was able to secure buy-in and facilitate greater cooperation and participation. The workshops also helped the team convey that the data collection was not part of an audit, but rather designed to help the hospital develop a business plan that would allow them to operate with greater financial sustainability and transparency. Engaging the stakeholders early on in the study allowed the team to gauge what each stakeholder wanted to get out of the study and helped tailor the process accordingly. Continued workshops on data collection progress and initial findings throughout the study ensured that stakeholders were invested in the process and gave JUH staff the opportunity to clarify the team’s understanding of hospital realities on the ground and tweak the study’s parameters. As a result, the team was able to continually refine assumptions underpinning costing calculations — thereby improving the overall accuracy and reliability of the study’s results. Kelinda E. Chevalier, medical student. Image by Valérie Baeriswyl for Communication for Development Ltd.
2. Build internal capacity. During each workshop, the JUH costing team provided an overview of the study methodology. These lessons provided both JUH and MSPP stakeholders with the tools necessary to interpret the study results and understand what information costing results can and cannot provide. Stakeholders thus became careful consumers of costing information, understanding both the limitations and benefits of the study’s results. Working jointly with both the MSPP officials and JUH administration from start to finish also laid the groundwork for them toconduct costing analyses on their own in the future. The costing team provided an in-depth training on the MASH tool for ministry officials, JUH administration, and administration from several other public hospitals in Haiti. In addition to giving participants the tools to conduct independent costing analyses, the training also generated interest in potentially using the tool at other public facilities in the future. 3. Support ways that the data can be used. Costing information can be used to determine how resources are coming into the hospital and how they can be better allocated to improve efficiency and increase funding. Establishing an understanding of hospital costs is a key first step, but analyzing how individual pieces of the puzzle can be influenced is a critical next step. Determining opportunities for strategic shifts is important: At JUH, the costing study was part of a facilitated process to help the administration develop a follow-on business plan to shift resource use and increase the hospital’s efficiency in the immediate future, thereby addressing some of Dr. Dubé’s financial sustainability concerns. 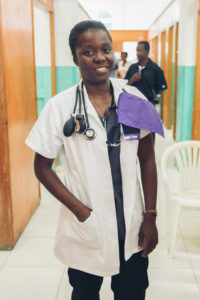 At the last workshop, it was clear that there was a sense of a shared optimism that the study results would help improve the hospital’s operational stability over time as Dr. Dubé and other hospital administrators and staff enthusiastically exchanged ideas for the hospital’s business plan.